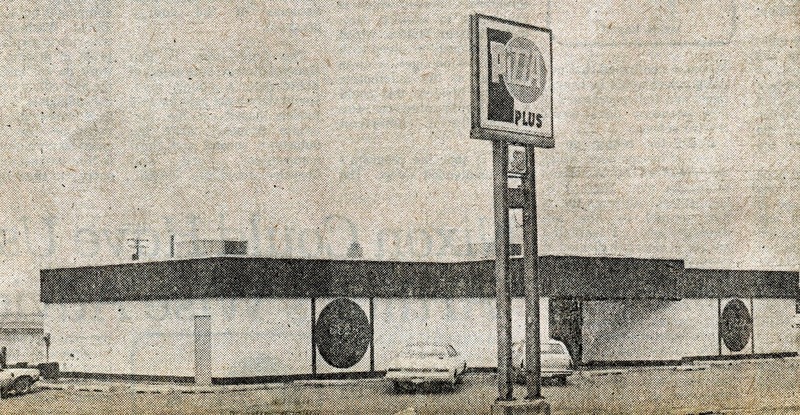 I do not remember this restaurant but it came up in discussion again within the last week..... On May 2, 1977 Pizza Plus was celebrating its grand opening. Pizza Plus was located at the intersection of South Highway 83 and the 2 & 52 Bypass, next to Chateau Bowling Alley. Their grand opening specials included a free small pizza with the order of a medium or large pizza. They featured a noon special of a ham and cheese sandwich for only 77 cents. Customers could register for daily prizes and the grand prize was a 10 speed bike. Pizza Plus also had a large game area and showed old time movies. They boasted plenty of free parking available. This location is now the home of Hardee’s on South Broadway.